Tïjonik 11 (Unit 11) Are wa’ le qatz’yaq (This is our clothing) – Chqeta'maj le qach’ab’al K’iche’! Previous Previous post: Tïjonïk 10 Kinwar pa le nuch’at. Kinwarik. Next Next post: Tïjonïk 12 Na kinwar taj! In this lesson, you will learn about clothing in Nahualá. 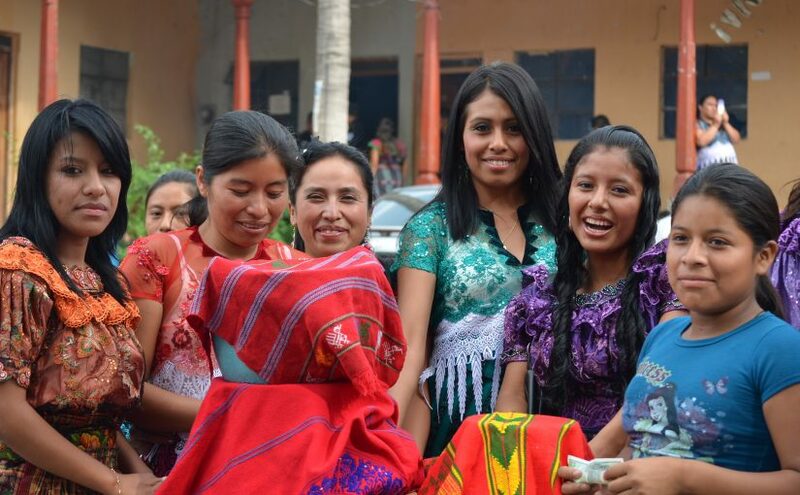 Nahualeños are very proud of their traditional outfit, especially women, who still wear it every day. You will also practice the grammar and vocabulary we have studied in the past ten units. In the following video nan Xe’p describes the traditional clothing women wear in Nahualá. First, do not worry about new vocabulary and focus instead on the constructions and words that you do recognize. In the following word scramble are several words concerning clothing. Find them and practice their pronunciation and meaning. Word Bank: powi’, pas, uq, xyal, po’t, kami’x, su’t, koxtar, sutub’al sut, b’ake’t.